No prep! Use immediately! 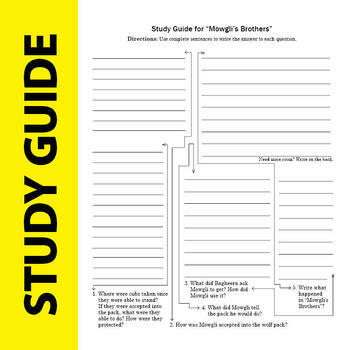 Higher-level discussion questions and writing prompts for The Jungle Book: "Mowgli’s Story." The Jungle Book is a compilation of many short stories. 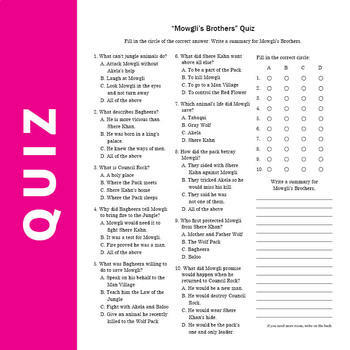 These discussion questions and writing prompts align with the three stories in this compilation that are about Mowgli.Bonus! 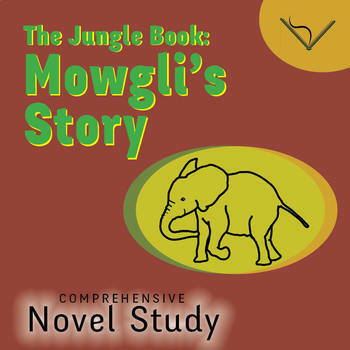 The Jungle Book: Mowgli's Story Comprehensive Novel Study - SL Book Reading Unit is copyrighted ©2018 by S. Kay Seifert. 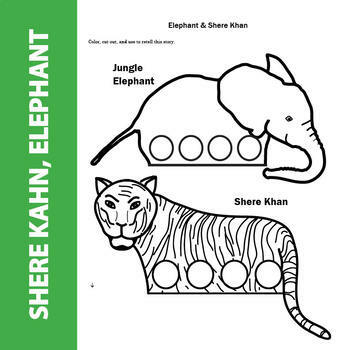 Parents and teachers may reproduce worksheets from this Simple Literature product for personal use in public, private, or home-school classrooms. No part of this manuscript or curricula may be included in printed, Web, digital, or any form of print, Web, digital, cloud, virtual, or electronic curricula, or be distributed, personally, electronically, via the cloud, or commercially without the express written permission of S. Kay Seifert. All rights reserved. First printing, 2018.